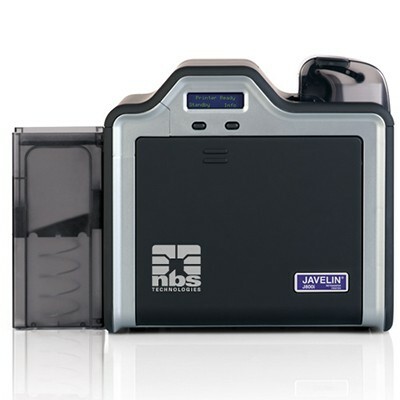 The Javelin® J800i Dual Sided produces ID cards with the highest image quality available. By printing a reverse image on the underside of the retransfer film, then fusing the film to the card surface, the Javelin® J800i creates and image quality that looks more like a sharp glossy photograph than an ordinary ID card. Printing on film instead of directly on the card means that the uneven surface of technology cards doesn’t compromise the image quality. 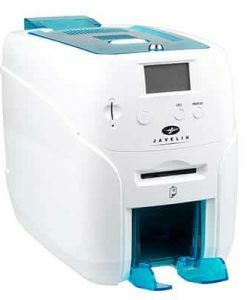 The Javelin® 800i can print up to the edge of smart chip contacts, and over the edge of the card. 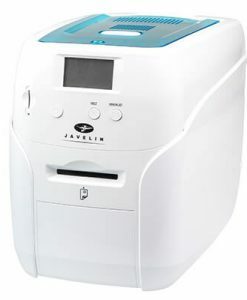 With the Javelin® J800i, the price tag looks as great as the cards it produces. 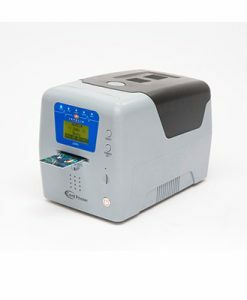 No other card printer delivers high definition images at this price point, making the Javelin® J800i feasible for a broad range of organisations. The Javelin® J800i is exceptionally reliable, which means less printer downtime. 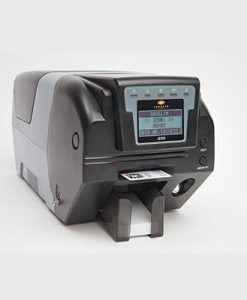 Because the printhead never comes in contact with card surfaces or debris, it’s never damaged in the printing process, and therefore carries a lifetime warranty. Cards produced by retransfer printing are inherently more durable and secure then other types of cards. They resist wear and tear by putting a durable layer of retransfer film between the card image and the outside world. They are also tamper-evident – if a counterfeiter tries to peel apart the layers, the image essentially destroys itself. Take your card printing higher. 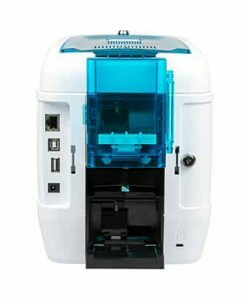 Only one card printer offers ultimate image quality and printer reliability, affordably. 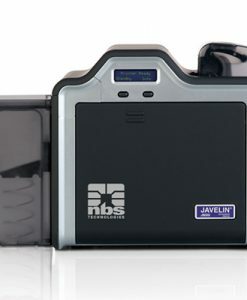 For every need – from great-looking photo ID cards to multifunctional, high-security applications – the Javelin® J800i does the job beautifully. For product options see below. Reduced Downtime – having an engineer to site, carrying the majority of parts, means that most repairs can be done on-the-spot, avoiding the delay incurred by sending the printer back to the manufacturer for evaluation and repair. Next Business Day repair engineer to site – the engineer will be on site on the next business day resulting in a speedy repair. No Delivery Costs – Standard Manufacturer Warranty requires the customer to send the printer back at their own cost. This is avoided by having the engineer come to site. No danger of damage in transit – the risk of damage in transit whilst returning the printer to the manufacturer is avoided by having the engineer come to you.